Biking on ice sounds dangerous, but it could be fun. 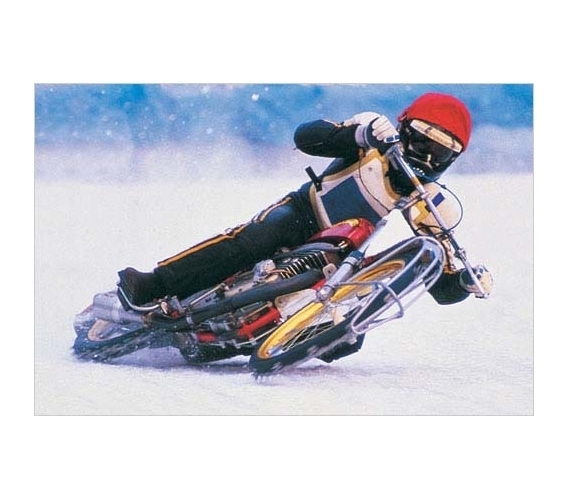 Either way, this Ice Biker Poster makes for a great college wall decoration. When decorating your dorm room, your college decor should reflect your interests. If you're into biking or motocross, this is the perfect college decor item. If not, it's still a cool poster for college that will enhance your dorm decor.